Who Is Liable for Injuries When Recalled Cars and Other Products Are Resold? When a recalled vehicle or defect component is resold, the company or individual who sells it can be liable for the injuries, wrongful deaths, and property damage that results. It is against the law to resell manufacturer recalled items, however, it is a common practice that places consumers at risk of serious injury. Auto parts can cost a pretty penny. The price difference between one part and another can often be enough to entice consumers to purchase a lower cost option that promises to fix whatever defect or damage the consumer needs to correct. However, this is a risky cost-savings strategy that can cause the purchaser to buy a part that is under recall. In many cases, the reason the consumer needs to purchase the part is that the part within their vehicle has failed and he might not be aware that it was under recall to begin with. Whether it is a retail operation, auto dealer, mechanic shop, or a garage sale, the entity or individual selling a used car part is required to perform due diligence to ensure that the part or vehicle is not under recall. While cars that have been recalled and repaired may be sold, sellers are required to notify consumers if the vehicle is under recall and has not been repaired. In regard to parts and other products, if the auto part, toy, etc., has been deemed defective by the CPSC or the manufacturer, it must not be sold. It is specifically prohibited within the Consumer Product Safety Improvement Act. In such instances, the item should be destroyed if the owner does not want to return it to the manufacturer for disposal or repair as stipulated in the recall notice. As with all products, consumers should verify whether a product, part, or vehicle is under recall prior to completing the purchase. 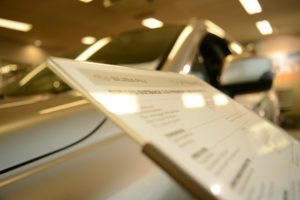 Automobile dealerships are prohibited from selling new cars that are subject to a pending recall until such repairs are performed. However, used cars do not have the same protection. Thus, it is up to the consumer to verify whether a vehicle under recall is adequately repaired. Should an individual or entity lie about or otherwise misrepresent the recall status of a vehicle, he or she can be held liable for accidents, injuries, and property damage that result from their omissions.